An Australian clinical study trial has found Christchurch-made green shell mussel extract product to be more beneficial for arthritic conditions than glucosamine. Bromley-based manufacturer Aroma NZ Ltd sought a 12-week clinical trial involving 38 people undertaken by Queensland University to establish the benefits of their product. Aroma director Ben Winters Jr said today they wanted to see how their green shell mussel power compared to glucosamine for people who suffered from joint pain and inflammation. ``People had been asking us to carry out clinical studies on our product so we went ahead with this significant landmark clinical trial,’’ Winters said. ``The excellent trial results just released to us show that our green shell mussel power works more rapidly and provides faster relief than glucosamine for the arthritis sufferers who took part in the trial. The study proved overwhelming that the aroma green shell mussel extract significantly helped reduce joint pain and increased joint mobility in patients. Joint pain is so widespread throughout society and not just the elderly whom suffer from arthritis but also young people, sports people from injuries and many others. The university’s primary clinical investigator in the trial Samantha Coulson confirmed today that the Christchurch green shell mussel powder ``worked quicker and provided better relief’’ than the glucosamine used in the trial. Winters said Aroma was looking to spread the great results of our trial and improve the quality of life for both people and animals because they were facing demand increasing their products. Aroma NZ has been producing various products for more than 50 years in Christchurch. Winters’s grandfather had an essences and flavourings business in Rotterdam which he further developed in Christchurch from 1961. 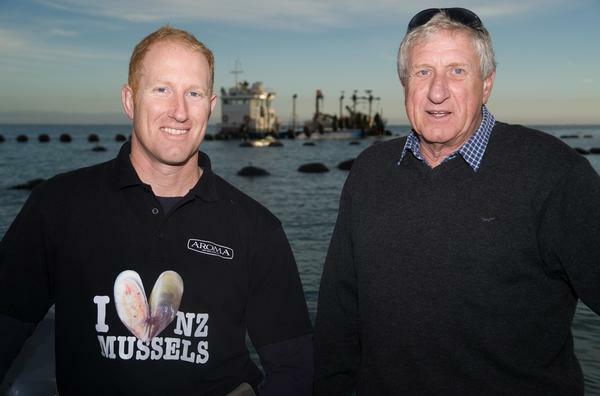 They stepped into the health food business 25 years ago and today employ 20 people, processing mussel from the Marlborough Sounds. As well as the mussel extract, they produce green shell mussel oil, shark cartilage powder, oyster powder, paua (abalone) powder, fish protein powder, chondroitin sulphate and marine collagen. Aroma NZ exports to 30 countries and the New Zealand market makes up just five percent of overall revenue. ``We are so encouraged by these new clinical results that we plan to carry out a larger clinical trials on 140 people with a double-blind placebo that will carry more weight when pitching to pharmaceutical companies,’’ Winters said. The New Zealand Food Safety Authority audits Aroma NZ’s factory on a monthly basis which allows them to export worldwide. Strict microbiological and heavy metal limits are set in place ensuring only the highest quality freeze-dried health foods reach their consumers.